I had pain in my knee for many times in the previous years due to my limiting mind patters. However it was always the right knee where the pain was located. Never before as far I can remember had I pain in my left knee. However several days ago for the first time ever I started to experience the pain in my left knee. I have been wondering what could be the cause for that and I had some ideas however I am not completely sure. I gave myself couple of days in order to see if it would go away because maybe I have successfully sorted things out in my mind, however it is still there and I could say it has even slightly increased. So now I decided to give it more attention to become aware about the cause of it by using the tool of writing and sounding self-forgiveness. One of the probable causes for the pain in my left knee could be the discussion with one of Slovenian philosophers who invited me to have two long Skype chats about the god, responsibility and the origin of our thoughts that he recorded for his podcast series. Within the interview I was challenged to talk about the extent of personal responsibility and preprogramming of the existence. Because some scientific experiments were suppose to prove that other beings know about our intention a few moments before the though actually appears in our minds. And then also do we actually have any power of decision and creation since some can predict the future and thus prove that everything is already decided in advanced. So how can we prove that our thoughts are actually our own creation and not the thoughts that have already been created by someone else and then only served to us? Before I started to write this blog post, I searched eqafe.com for interdimensional interviews by the keyword god. I listened to a interview that explains the difference between the real god as the physical and the creators of the mind who separated us as the beings from the physical by the controlling thoughts in order to keep us away from our awareness of who we really are. So the explanation is that automatic thoughts that are created by the mind are means of distraction while we as the physical beings are able to create our own thoughts from the scratch. Because god as the physical is created, creator and the creation. And the other question is the motivation for creation and destruction in the context of life and death. Because death exists only from the perspective of the mind and life as the physical has no beginning or end. The life as the physical only changes form or shape and thus can actually not be harmed. Which brings me back to my pain in the left knee that should not be there if I would become fully aware that I am part the eternal life as the physical. What I want to say is that from the perspective of reality being the life as the physical why would I want to create anything and not simply stay still. And if I am the creator that created myself as the individualised being in this human physical body, why do I not have the full awareness about the history of the whole creation? The explanation could be that because I am part of the god almighty, I also created unawareness of myself in order to experience state of separation from myself which is in reality a complete impossibility. Nevertheless here I am now in this physical body, experiencing the impossible and having to decide what to do about myself and what to create next, or rather to say, what to uncreate. Because I have become tired of existing in separation as the mind and would like to return home as life of the physical. I am tired of experiencing pain and lack of things that I need to sustain myself as this physical body and am ready to experience wholeness and abundance again. Maybe in the future I will get tired of oneness and desire the dive into separation again but I guess there is no other way of how existence is able to experience itself. It is constant cycle of inhaling and exhaling, creation and destruction, oneness and separation. In relation to this blog post, I invite you to assist also yourself with awesome self-perfecting tools within free online DIP Lite course and to listen to educational audio titled Is God Creator or Created? 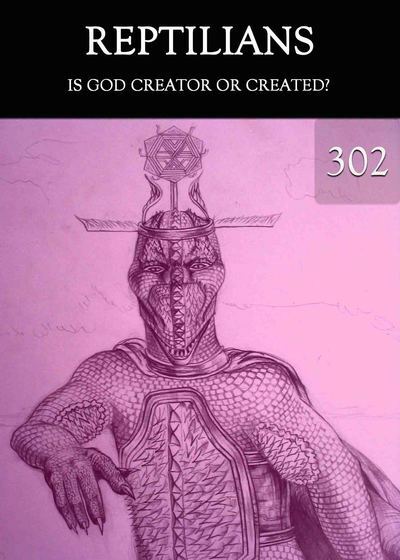 from the Reptilians series at Eqafe web store with hundreds of extremely supportive educational items that hold answers to any imaginable question about life and this existence.